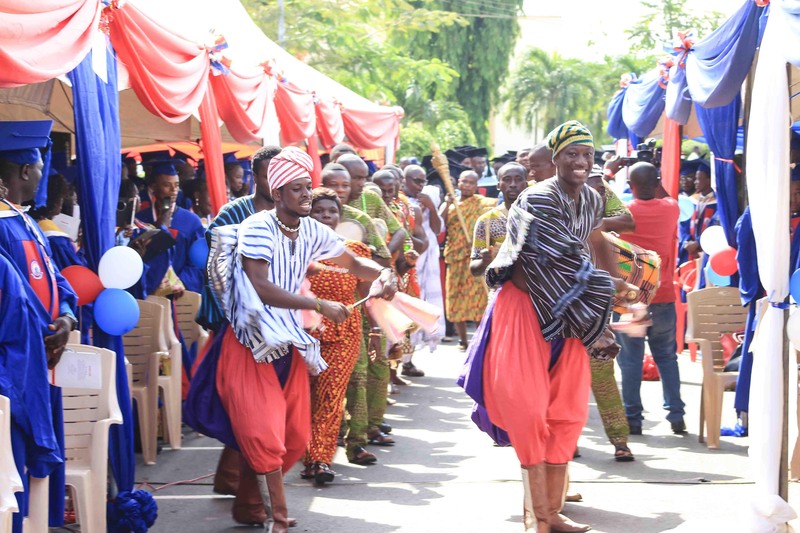 The outstanding performance by the University of Education Winneba (UEW) Cultural Troupe is without a doubt one of the memorable moments of the just ended Second Session of the 22nd Congregation of the University. 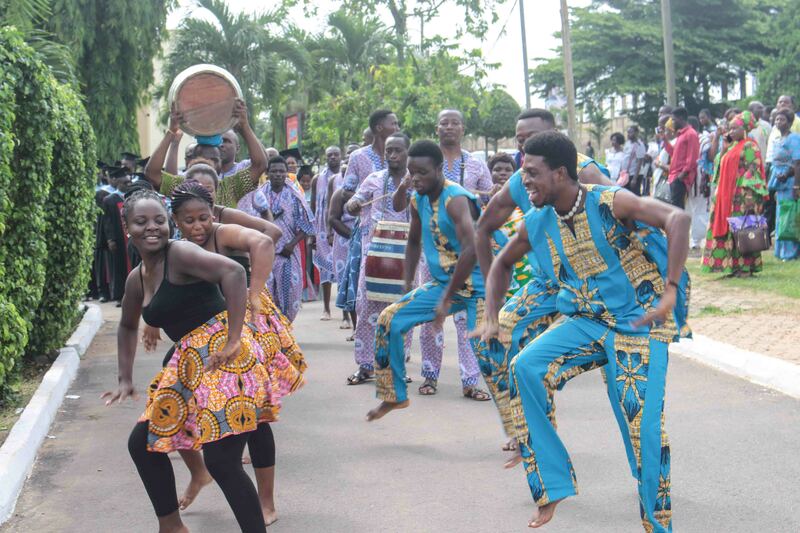 For the first time in its 13-year existence, the Troupe was granted one of its much sort after opportunities to perform at each of the graduation ceremonies organised at the University’s several campuses – Winneba, Kumasi and Asante Mampong. 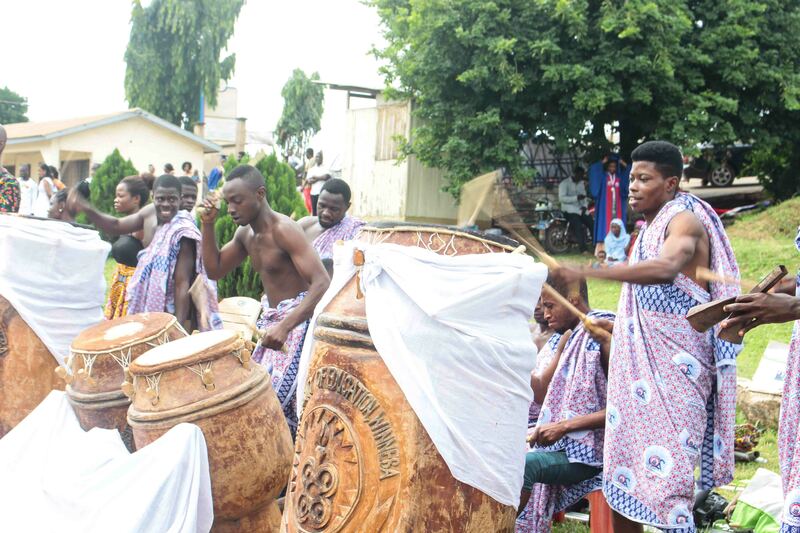 Save the Winneba campus where the Troupe is based and therefore, often performs, the other campuses, hitherto, relied on the hired services of other cultural groups in their respective neighbourhoods to render cultural displays; a feature that has become customary to key ceremonies at UEW. 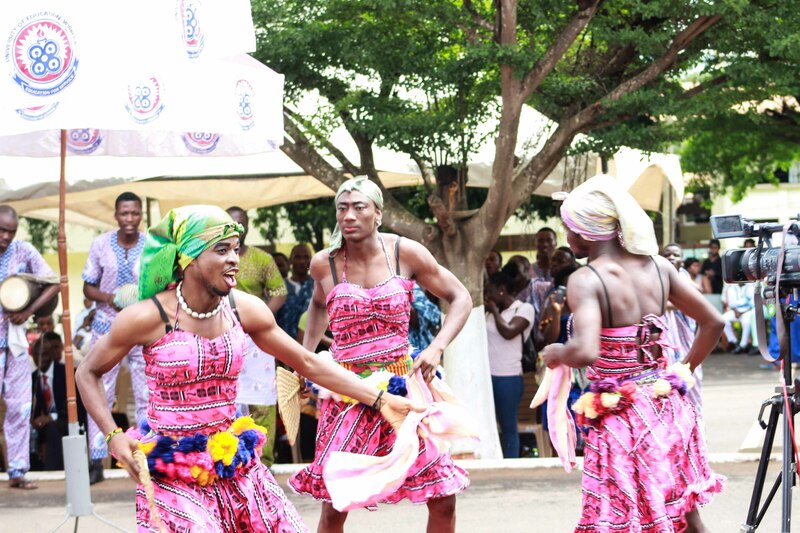 Some of the traditional dances the Troupe showcased included Atsiagbeko and Tokwei (from Volta Region); Kete, Adowa and Mmenson (Ashanti Region) and Damba Takai (Northern Region). 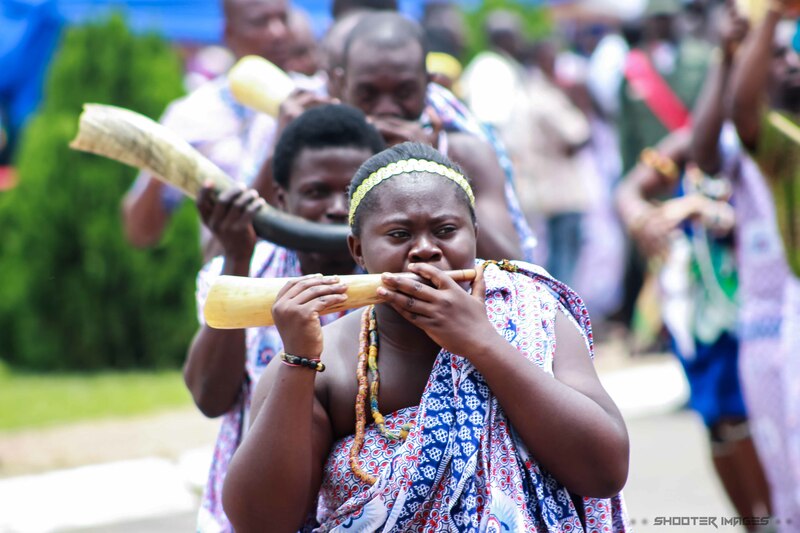 A Lecturer at the Department of Music Education at the Winneba Campus of the University and Leader of the Cultural Troupe, Mr. Michael Anthony Kwesi Adomina was thankful to the Management of the University for paving the way for the Troupe to serve the University during such occassions. He described the opportunity as morale boosting for members of the Troupe who are mainly students of the Music Department. 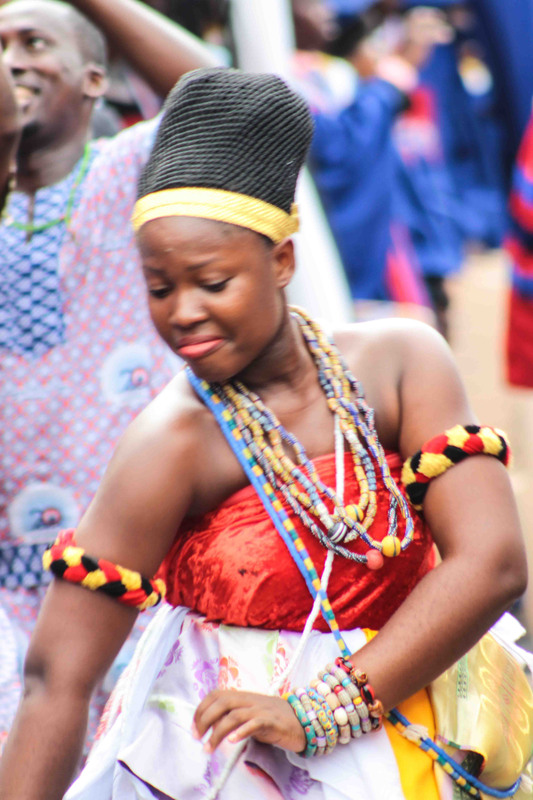 “Our youth are gradually losing touch with traditional music and dances despite its beauty. We therefore need to do everything possible to ensure that such traditions are not extinct. As a Music Department, we are committed to our mandate of researching into the traditional music for classroom use and preservation”, he said. While the Department does its part, he hopes that the necessary support and opportunities would be given to the Troupe to perform even at state functions. “Individuals and groups who might need our services are also welcomed except they have to observe all necessary protocols. 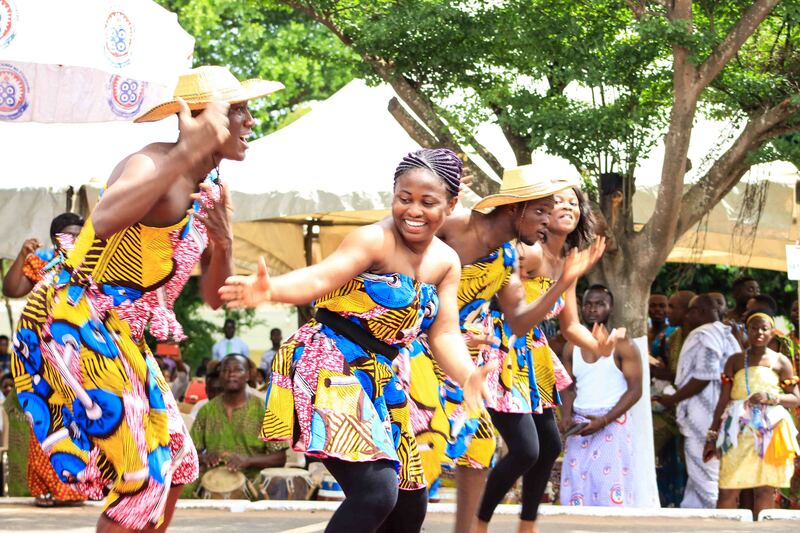 Mr. Adomina hinted that Music Department was in the process of putting a proposal together for all UEW campuses to replicate the Troupe so that with time, those in Winneba would not have to be traveling to those campuses to perform.